April 16th 2018 - Fast Lane announced today that it was named Cisco Learning Partner of the Year 2018 EMEAR at the Cisco Learning Partner Summit 2018 in Hawaii. Awarded to exemplary channel partners, the Cisco Partner Summit awards are designed to recognize best-in-class business practices and outstanding performance. "We are very pleased that we have been able to achieve our goals and that, with this award, Cisco has recognized our strength in the EMEAR training markets. We achieved particularly outstanding strong growth in the Middle East in Dubai, Saudi Arabia and Qatar and in all Eastern Europe including Russia and Ukraine. Winning this award reflects the hard work and dedication of our entire team and demonstrates our strong business results and excellence in delivering high-quality Cisco training solutions. 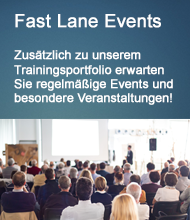 On this basis, we can continue to drive forward Fast Lane’s global development and offer traditional classroom training as well as future-oriented blended, hybrid and on-demand learning concepts to Cisco partners and customers.”, comments Torsten Poels, CEO & Chairman of the Board, Fast Lane.